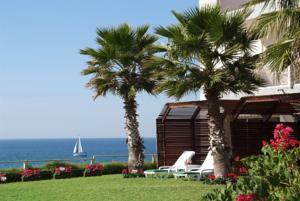 is located on the magnificent Herzlia seashore,overlooking the Mediterranean Sea. 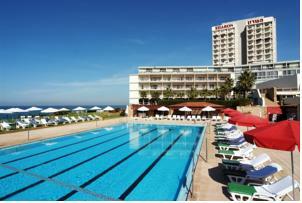 Minutes from the High-Tech center of Herzlia, the Sharon is only 15 minutes drive north of Tel-Aviv. Rooms at the Sharon Hotel have a flat-screen TV and private bathrooms. 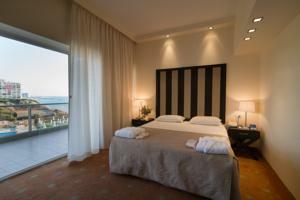 Some have a sea view and direct access to the garden. The restaurant serves a range of Israeli and international cuisine. Later you can enjoy a drink in the modern piano bar and lounge. 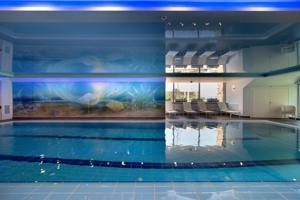 Guests can relax at the wellness centre, which includes a heated indoor pool, a sauna, and steam bath. A sea-view gym is also available. Each guests receives 1 free hour of internet in the hotel lobby per day.